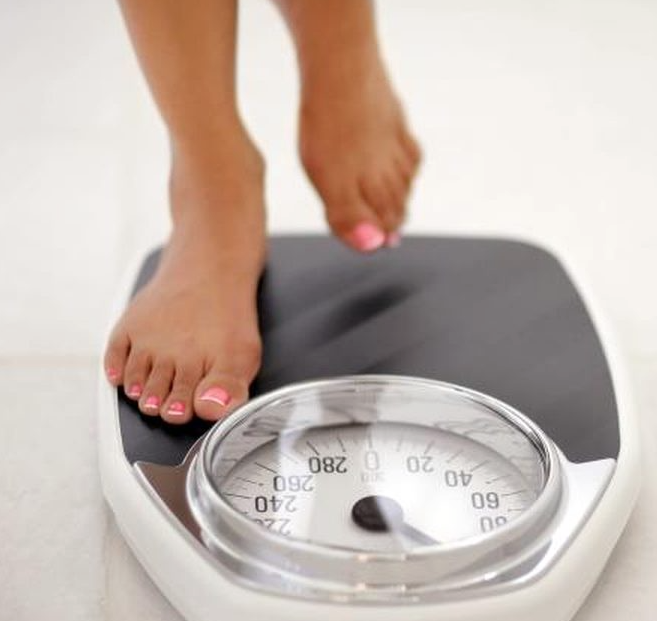 Emed > News > Toxic Weight Loss Shakes – Available at Your Pharmacy Now! Commercially available protein powders – targeted towards weight loss and general wellbeing, are popular with a broad range of individuals ranging from busy professionals, mums and dads and other health conscious individuals. On the surface these protein powders appear to be a convenient way of intaking dietary protein into a deficient diet but take the time to look closer and many of these cheap protein products contain harmful additives and toxins. Whether contaminated with heavy metals, MSG or possible allergy triggers, examining these protein powders closely is extremely important. Ingredients are important in a protein powder, the fewer the better and the more natural the source ( think brown rice protein, pea protein, hemp protein, whey protein) the more nutrient rich and therapeutic protein powders will be. Pharmacies and supermarkets having identified this product demand and are now stocking commercial protein powders obviously targeted towards weight loss and weight management. Many of the formulas and the ingredients of these commercially available weight loss protein powders are on closer inspection, a cause of concern. Ingredients such as food additives, sweeteners, preservatives, emulsifiers and inclusions identified only by a number are proving these commercial protein powders to be less therapeutic nutrition than another way of emptying your bank account. One nearly has to have a chemistry degree to decipher exactly what is in these protein powders. That consumers don’t read the ingredients on the label. If the buyers do read the label, rely on the hope that manufacturers really do have their best interests at heart. If consumers were to look at exactly what is in these pharmacy and supermarket protein weight loss powders ingredient by ingredient, they would be shocked and quickly leave the protein powder on the shelf. The price may be great, the claims outstanding but the nutritional content is so questionable as to ask the question – is it a nutritional supplement or a chemical cocktail? We have looked closely at a few of the more popular protein powders targeted at weight loss available in Australia and found a considerable list of ‘hazardous chemicals’ to be savvy about. During the processing of high protein foods like isolates, monosodium glutamate (MSG) is inadvertently created. Since it’s not an additional ingredient, but a consequence of the manufacturing process, MSG doesn’t need to be labelled on protein powders. Many protein powders are made with milk and its byproducts (whey protein ,casein) , soy or eggs which can trigger mild to severe allergic reactions including: digestive upset, gas, skin rashes, nausea, cramping and diarrhoea. Reading the fine print is essential, especially if an individual is prone to allergic reaction with certain foods. The chemical process to make sucralose (also known as Splenda) alters the chemical composition of the original sugar molecule so that it is converted to a fructo-galactose molecule. This type of sugar molecule does not occur in nature, consequently our bodies are unable to properly metabolise it. As a result of this “unique” biochemical make-up, manufacturers can claim that Splenda is not digested or metabolised by the body, allowing it to have zero calories. Aspartame tricks your body into thinking it’s getting something sweet, so your body constantly craves more. It also makes it difficult to know when you’re getting full; it’s the ultimate sinister additive to protein shake mixes, weight-gain powders and weight-loss powders. But don’t just think that if you don’t see the word, “Aspartame,” that you’re free and clear of the body-harming ingredient. Aspartame may be disguised under its changed name, “AminoSweet,” which combines amino acids with a sweet taste. It’s not uncommon to find this in many meal replacements or fast-fix toxic shakes. Acesulfame potassium also known as Acesulfame K is often blended with other sweeteners (usually sucralose or aspartame). These blends are reputed to give a more sucrose-like taste whereby each sweetener masks the other’s aftertaste, and/or exhibits a synergistic effect by which the blend is sweeter than its components. It is 200 times sweeter than sucrose. The evil stepchild of aspartame; along with sorbitol, they have been linked to causing cancer and mutating DNA. They also disrupt the central nervous system and throw hormones off balance. Sorbitol is a sugar alcohol. Manufacturers can claim they provide fewer calories than sugar as sorbitol is not completely absorbed by the body. Absorption occurs passively in the small intestine and is much slower in absorption than other sugars. This allows even moderate doses to be malabsorbed, reaching the colon for fermentation, especially in individuals with a rapid intestinal transit. A high proportion of healthy individuals develop abdominal bloating, gas, cramps and diarrhoea at doses of 5 g and above. Sorbitol and fructose intolerance very commonly co-exist and may exacerbate each other. Sugar alcohols such as sorbitol are a popular choice for weight loss due to their reduced calorie content. Maltodextrin can be enzymatically derived from any starch (potatoes, wheat, rice, cereals). In Australia and the United States, this starch is usually corn while in Europe, it is commonly wheat. Maltodextrin is just as bad, sometimes worse, as having sugar. Easily absorbed carbohydrates like maltodextrin and sugar get into the bloodstream quickly. Dieting companies overload their shakes and bars with maltodextrin as it’s cheap, they don’t have to label it as sugar and it’s fatty texture can replace real fats (both good and bad). GMO Corn Starch: Stay Away From It! As just noted much of the starch fillers in protein powder is corn (also known as maize in the United States) and the cheaper brands have no hesitation in putting in genetically modified (GMO) forms. It is known that GMO corn causes cancer in lab animals making modified corn starch one ingredient to definitely stay away from. Genetically modified corn contains inbuilt pesticides and herbicides that kill worms and other crop pests. It’s obviously counterproductive to our health to ingest these modified crop sources with these additional toxins. Gut flora which plays a significant role in keeping the immune system in check has been shown to be destroyed by pesticides and herbicides. With GMO foods in one’s system, people are more prone to getting common colds, the flu, allergies, brain fog and may even experience a loss of energy. What about what’s not listed? With the listed ingredients it’s easier to decipher what is in the protein powder formula. But what about what’s not listed including contaminants such as heavy metals such as cadmium, mercury and arsenic? In 2010, Consumer Reports tested samples of 15 protein powders and shakes for arsenic, cadmium, lead and mercury. As reported in, “Is Your Protein Powder Toxic?”: At least one item from each product line contained detectable levels of cadmium, arsenic, lead or mercury. Why is there heavy metal contamination? One of the reasons that protein powders are contaminated with heavy metals is that with the cheaper, commercially available protein powders, many of the ingredients are sourced from China. Recent water quality tests in 203 cities throughout China revealed exceptionally high levels of contaminants, rendering the water either “relatively poor” or “very poor” on the safety scale. Water in the “relatively poor” category can be safely drunk as long as it undergoes pre-treatment, while “very poor” water cannot be used for drinking water under any circumstances. China – the country where many of the ingredients for commercial and cheap protein powders (not to mention many of our food stuffs) are sourced! There are a plethora of numbers in the food manufacturing world and companies are gambling that consumers won’t take the time to look them up while in the process of purchasing the product. Some common numbers regularly show up in commercial protein powders and below is a brief outline of good, the bad and the ugly. 124 Cochineal. An artificial red dye, synthetic coal tar and azo dye, carcinogen in animals, can produce bad reactions in asthmatics and people allergic to aspirin; 1 in 10,000 people are allergic to 124. Banned in Canada, Norway, USA (in 1976 for cancer causing agents). Restricted in Sweden. 160a Carotene. Natural carotene, an orange-yellow colouring, contains mainly beta-carotene which has vitamin A as its natural degradation product. 304 Ascorbyl palmitate and is formed from the esterification of palmitic acid and ascorbic acid together. It is used as a source of vitamin C, as an antioxidant in food, and has many applications as it is soluble in fats at high temperatures. 306 Tocopherols. These substances are extracted from soya bean oil, wheat germ, rice germ, cottonseed, maize and green leaves which are rich in naturally occurring vitamin E. Tocopherols are used in food as antioxidants as well as sources of vitamin enrichment. These tocopherols include alpha-, beta-, gamma- and delta-tocopherols. 307 This alpha-tocopherol is chemically synthesised and is used as an antioxidant and source of vitamin E in food. 322 Lecithin. Lecithins are also known as phosphatidylcholines and are examples of phopholipids, or esters of glycerol, where two ester bonds are to fatty acids and the third is to a phosphoric acid derivative. Most commercial lecithin is extracted from soya beans, egg yolks and leguminous seeds, corn or animal resources. It is considered non toxic and is used to allow combination of oils in margarine, chocolate, mayonnaise, milk powder, potato chips, puddings and breakfast cereals. 412 Guar gum. Guar gum is derived from the seeds of Cyamoposis tetragonolobus of Indian origin; fed to cattle in the US; can cause nausea, flatulence and cramps, may reduced cholesterol levels. 415 Xanthan Gum. Xanthan gum is derived from the fermentation of corn sugar with a bacterium. Its purpose is to improve flow of a product. There is no known effects. 452 Triphosphate salts of sodium/potassium with phosphates. All triphosphates are produced synthetically from carbonates and phosphoric acid. Used as buffers, stabiliser and emulsifiers. Also used to retain water during processing. High concentrations of phosphates may disturb several metabolic processes as phosphate plays an important role in general metabolism. 471 Mono- and di glycerides of fatty acids (glyceryl monostearate, glyceryl distearate) Synthetic fats, produced from glycerol and natural fatty acids, mainly from plant origin, but also fats of animal origin may be used. The product generally is a mixture of different products, with a composition similar to partially digested natural fat. Although mainly vegetable oils are used, the use of animal fat (including pork) can not be excluded. Several groups, such as vegans, Muslims and Jews thus avoid these products. Only the producer can give detailed information on the origin of the fatty acids. 481 Sodium oleyl or stearoyl lactylate stearoyl-2-lactylate. A flour treatment stabiliser, emulsifier to make it able to retain shape after going through the machinery. No known adverse effects. 551 Silicon dioxide. From sand or quartz. No adverse effects are known in food use. Artificial sweetener, anti-caking agent, thickener and stabiliser in beer, confectionary, sausages, dried milk. 955 Sucralose. Artificial sweetener 600 times sweeter than sugar. Not listed in Australia prior to 1992. Found under the brand name of “Splenda”. In animal testing before being accepted in Australia, 955 showed detrimental effects to the thalamus glands, liver and caused kidney enlargement and renal mineralisation. See if you can find the nasties hidden in the ingredient breakdown! Skimmed Milk Powder (36%), Milk Proteins [Calcium Caseinate (13%), Sodium Caseinate (8%)], Inulin, Maltodextrin (Corn), Sugar, Vegetable Oils (Canola, Sunflower), Fructose, Minerals (Potassium Citrate, Sodium Chloride, Magnesium Carbonate, Potassium Phosphate, Tricalcium Phosphate, Ferric Pyrophosphate, Zinc Sulphate, Copper Gluconate, Manganese Sulphate, Sodium Fluoride, Chromium Chloride, Sodium Molybdate, Potassium Iodide, Sodium Selenite), Glucose Syrup (Corn, Wheat or Potato), Medium Chain Triglycerides, Fish Oil, Corn Starch, Flavour, Vegetable Gum (414), Sweeteners (Aspartame, Acesulfame Potassium), Emulsifiers (Soy Lecithin, 472c, 471), Vitamins (Ascorbic Acid, Nicotinamide, Vitamin E Acetate, Calcium Pantothenate, Thiamin Hydrochloride, Pyridoxine Hydrochloride, Riboflavin, Vitamin A Acetate, Folic Acid, Biotin, Phytonadione, Cholecalciferol, Cyanocobalamin), Antioxidants (304, 307), Colour (160a). Contains Milk, Soy, Wheat and Fish. Contains Phenylalanine. Made on equipment that also processes products containing Egg and Celery. Sucrose, Inulin, Skim Milk Powder, Soy Protein, Maltodextrin, Whole Milk Powder, Fructose, Malt Extract, Flavour, Minerals (potassium phosphate, calcium phosphate, magnesium oxide, ferrous sulphate, zinc sulphate, potassium iodide), Tapioca Starch, Thickeners (415, 412), Vitamins (C, E, niacin, riboflavin, B6, thiamin, A, folate, D, 812). Whey Protein Concentrate, Soy Protein Isolate, Whey Protein Isolate, Dietary Fibre (Inulin), Xanthan Gum, Guar Gum, Nature Identical Flavouring, Hydroxy Citric Acid, L-Carnitine, Vitamins & Minerals (Calcium Carbonate, Magnesium Oxide, Ascorbic Acid (Vit C), Ferrous Lactate, Zinc Lactate, Vitamin E, Sodium Molybdate, Vitamin B3- Nicotinamide, Chromium Chloride, Potassium Iodide, Sodium Selenite, Manganese Sulphate, Vitamin B9-Folic Acid, Vitamin B12, Vitamin B5-Calcium D Pantothenate, Vitamin B2-Riboflavin HF, Vitamin A, Vitamin B6-Pyridoxine HCl, D-Biotin, Vitamin B1-Thiamine Mononitrate, Vitamin D3), Anticaking Agent (551), Sucralose (955), [Colour (124) in strawberry flavour only, Cocoa in chocolate flavour only]. Contains milk and soy products. Soy lecithin is used to intantise whey proteins and is less than 1% of the whey product. Gluten free. Micellar Whey Blend (Whey Protein Isolate, Whey Protein Concentrate, Micellar Casein), Natural Flavours, Inulin, Thickeners (412, 401, 415), Phaseolamin, Green Tea Extract, L – Carnitine (Carnipure™), Minerals (Dairy Calcium, Magnesium Oxide, Ferric Pyrophosphate, Zinc Sulphate, Manganese Sulphate, Copper Sulphate, Potassium Iodide, Sodium Molybdate, Chromium Chloride, Sodium Selenite), Vitamins (A, Thiamin, Riboflavin, B6, B12, C, D, E, K, Folate, Niacin, Pantothenic Acid, Biotin), Free Flow Agent (551), Natural Sweetener (960), Lecithin (322), Maize Starch.